A follow-up report to yesterday's proceedings from AllThingsD says Apple lawyer Orin Snyder brought up the negotiated terms multiple times during the bench trial now in front of U.S. District Court Judge Denise Cote. The composition of Apple's agreements with five of the biggest book publishers in the world is central to the Justice Department's antitrust argument, which holds that the companies worked hand-in-hand to falsely inflate e-book prices in the iBookstore. At the core of Apple's pricing strategy was a so-called "most favored nations" clause that allows publishers to set e-book pricing, but precludes them from selling the same content to other retailers at a lower price. 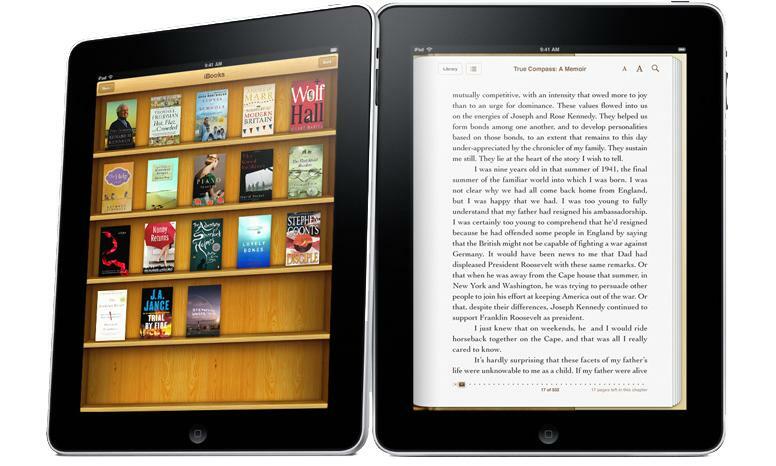 The government contends that by having the MFN deals in place, Apple and its cohorts willingly conspired to hike e-book prices. As noted by AllThingsD, such a scheme would likely call for similar, if not identical, terms for each publisher. As revealed in court, however, the arrangements were widely varied. Snyder pointed out that, while a price-matching provision was included in each contract, Apple negotiated different MFNs for each of the five publishers. On Tuesday, Penguin Books CEO David Shanks, whose company is one of the five involved in the case, said there was some concern over market leader Amazon's wholesale pricing model. The online retail giant's strategy is counter to Apple's "agency model" in that it puts pricing power in the hands of book resellers by allowing them to sell content at or below cost. "What transpired was by having e-books now at $9.99, it was cannibalizing hardcover editions, which sold on average at $26," Shanks said, referring to Amazon's strategy. While his testimony was at times damning to Apple's case, Shanks did say that Penguin "strongly resisted" the MFN model, fearing Apple would simply match Amazon's already low prices and add a commission on top. While not a silver bullet, the revelation is likely to bring some scrutiny of the DOJ's assertions. The trial is set to continue for the next three weeks, with high-ranking executives like Apple's vice president of Internet Software and Services Eddy Cue set to take the stand.